Have you ever taken your dog for a walk, and realized that their hair is in better shape than yours? Well if you’re starting to feel jealousy towards your Golden Retriever, that’s a deal-breaker, ladies! For men and women with chronically dry hair, all the moisturizing and conditioning in the world doesn’t seem to give hair that glossy shine we crave. But all hope is not gone, folks; maybe you just need a deep hydrating treatment to repair the breakage from endless hair dryers, flat irons, and blazing sun rays. The Bumble and Bumble Quenching Collection reaches deep to repair the cuticles of your hair with a blend of wheat proteins and pro-vitamins that basically glue the hair’s cuticle back into place. Hydration is restored, and your hair finds the strength to shine on. We tested out the line on our victim, Christine, whose thick hair had lost its shine under the weight of her split ends. 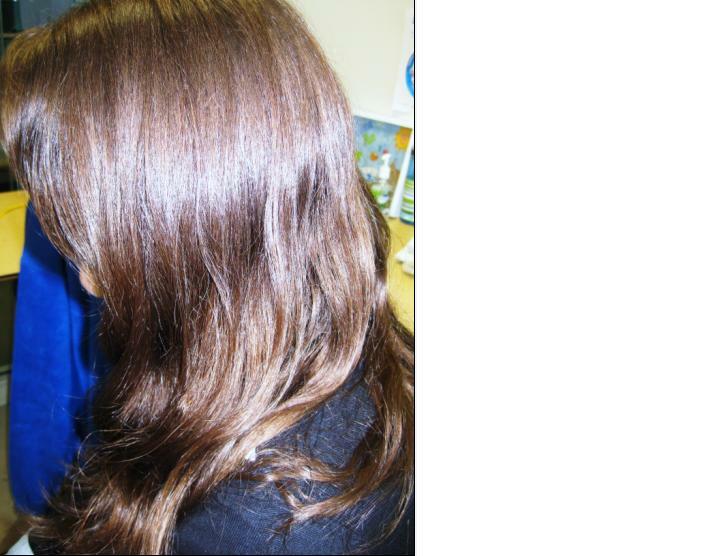 This photo is of Christine’s wavy locks before using the Quenching Collection. The Quenching Complex is basically a leave-in conditioner, which goes to work to strengthen the cuticle and increase elasticity and decrease brittleness. We like the complex for its ability to control and smooth hair after the shower, before we subject it to endless flat irons and hair dryers. Christine especially noticed the appearance of split ends and fly away hairs decreased once her hair was blown dry, and commented that her bangs were especially more cooperative. “It kind of felt like I had just gotten my hair cut, because it has that has that healthy bounce to it,” Christine tells us. And who doesn’t love that post-salon feeling? The Quenching Shampoo retails for $28. The Quenching Conditioner retails for $31. The Quenching Masque retails for $36, and the Quenching Complex retails for $33. For more information, visit www.bumbleandbumble.com.